Several years ago I put together a plan to play movies outdoors at Walt Disney’s Barn. It was a great success. People love coming out and watching movies in a large group, especially when it’s a Disney-related movie. Late last year I was talking to a friend who works at Disneyland and suggested that they do something similar. The Mickey and Friends Parking structure is a huge, multi-level parking lot with an open lot next to it call the Pinocchio lot. This is my proposed area to do a “Walk-in” (rather than a drive-in) movie. Between the two sets of stairwells is a very large space where a screen could be hung on the side of the parking structure. This would give a huge amount of space for guests to sit and enjoy the movie. In true (post 1986) Disney fashion, the park could sell “Disney Parks” branded folding chairs for $20 each, have fixed and rolling ODV (Out Door Vending) carts with popcorn, cotton candy, ice cream, sodas and churros. 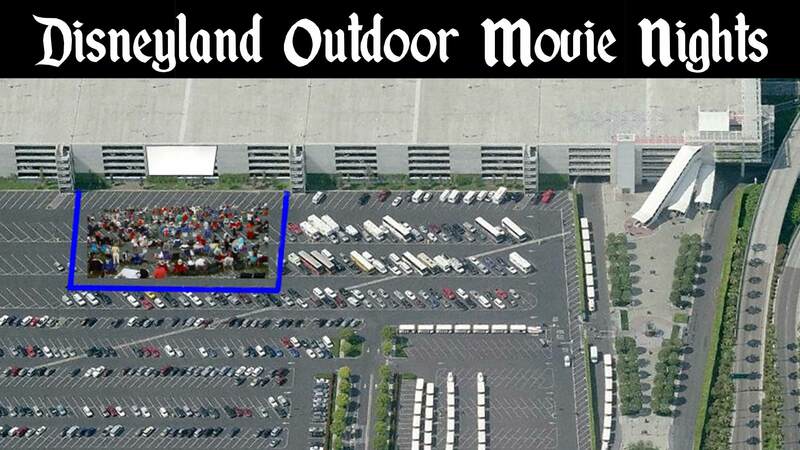 Large restrooms are just to the right at the parking structure entrance, and the Pinocchio parking lot could be blocked off (except for busses and RVs) to only allow movie-goers to park in this lot. As Disney has a large number of movies they could show without fear of licensing issues, this would be a great place to play “Cars“, prior to the opening of Cars Land at Disney’s California Adventure park. During the summer months this would be an ideal location to show movies since the weather is perfect and the location is convenient and easy to enter and exit. This could even turn into a special promotion for Annual Pass holders who want “special” experiences that don’t involve enter the parks. 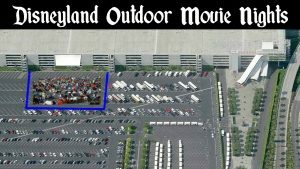 Disney could even turn a large part of the Pinocchio lot into a drive-in theater for new releases, along the lines of how they premiered their Pirates of the Caribbean series. Overall, this would be a pretty simple undertaking for Disney and would be a fun guest experience that a large number of people could enjoy without the cost of going into the parks.